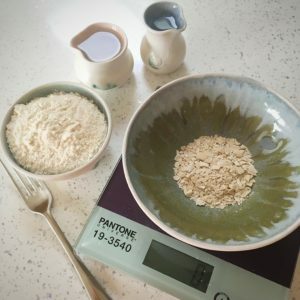 Starter is the key to successful sourdough; the starter provides the uniqueness of the bread, the rise, the texture, and replaces commercial yeast used in making standard loaves. 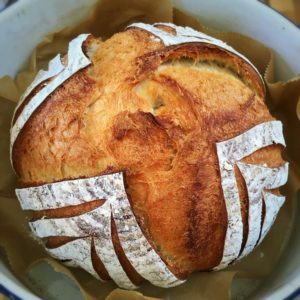 It’s what makes sourdough a healthy choice, and makes it more easily digestible. 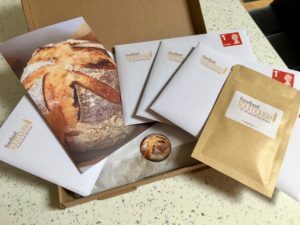 But most importantly, starter is what gives sourdough the fabulous flavour! 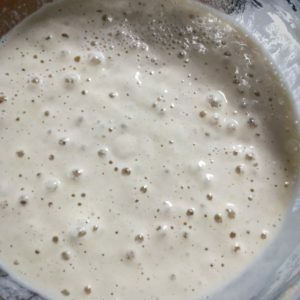 The process of making your own starter is very satisfying and often challenging; successfully making, maintaining and using sourdough starter is the key to great sourdough, but it is a process that takes several days and weeks to fully mature and be useable. 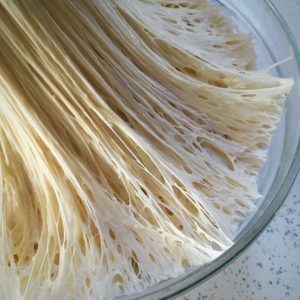 Sourdough starter gets stronger with time. My starter, Star, is many years old, and comes from a mix of dried starter that I was gifted years ago, and starters that I made myself. Star is strong and always ready for action, she is the key to all my loaves. And so, I decided to dry out lots of my lovely Star and create packets for other people to either create their own starter, or boost a starter they’ve already got. I know how well Star works and I know that she can work well for you too and bring you great bread. She has so far travelled to New Zealand, Texas, India, Canada, USA, Indonesia, Germany, Portugal, France, Dubai, Wales, Scotland and around the UK.